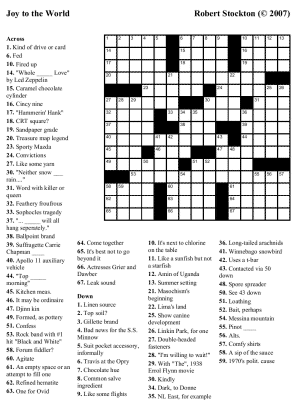 This crossword is a fully themed Times-style puzzle, stuffed chock-full of holiday goodness, and has been graded at roughly at Wednesday/Thursday level of difficulty. You can download it in Across Lite format, or as a printable PNG image. 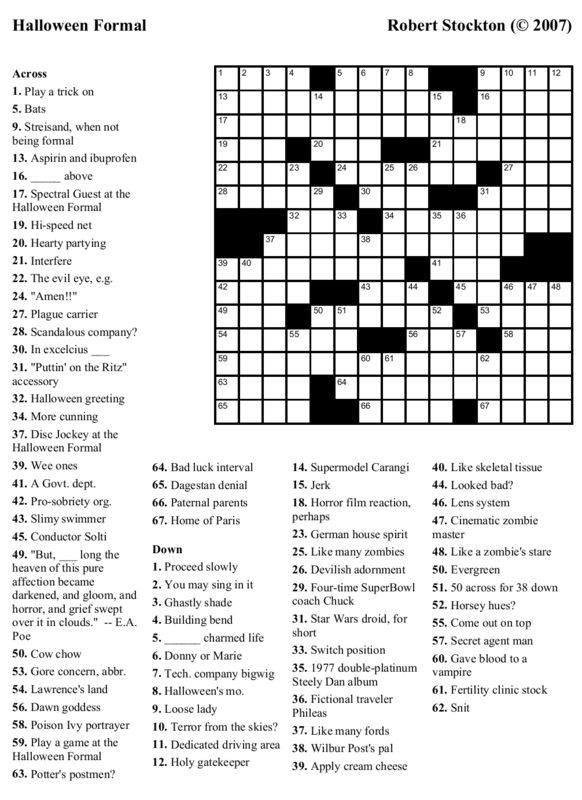 Update: several people have asked for an answer key for this puzzle, and I’m happy to oblige. You can download it here. Q: Where can you find a spelling bee? A: Taking it EZ in the Ps and the IV. Ok, that was a very bad joke. 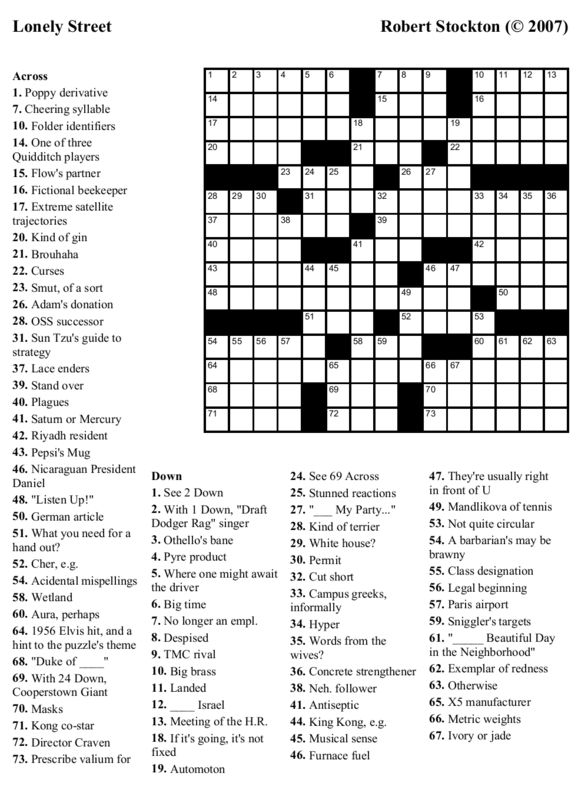 But this week’s crossword puzzle isn’t bad at all. Expect to find the difficulty somewhere around Wednesday-level on the NYT scale, with a nice, strong theme. 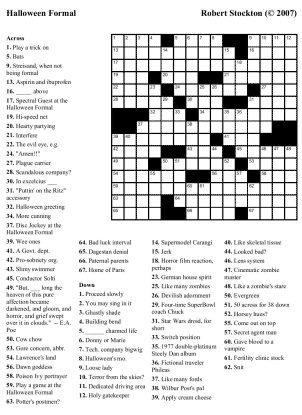 The best way to download the puzzle is in Across Lite format, but it is also available as a printable PNG image. Whatever packaging you choose, enjoy the puzzle and drop us a comment to let us know how you liked it. 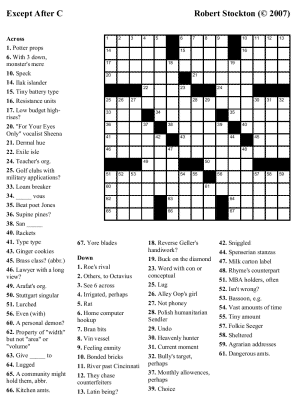 This week’s crossword puzzle is another hodge-podge: it’s got a nice simple Monday-level theme, but I’ve kicked it up a notch with some Tuesday/Wednesday-level vocabulary and clues. Overall, it’s got some nice fresh entries, and should be fun without being too hard. By now, you probably know the drill: you can download it as either in either Across Lite format, or as a printable PNG image. Either way, be sure to share and enjoy. 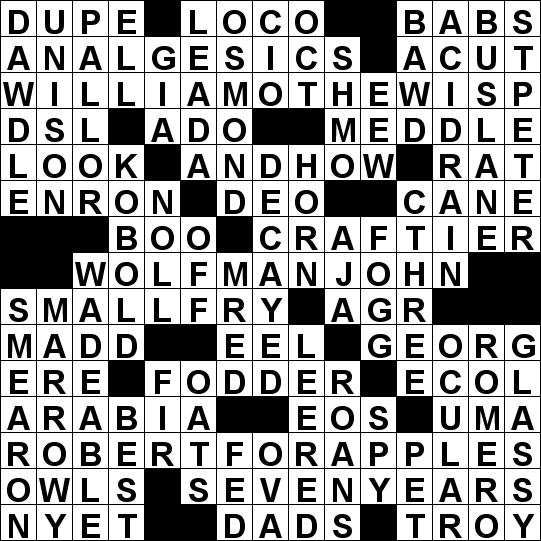 Beekeeper Crosswords has recently hit an anniversary: three months of (free) weekly puzzles, and still going strong. 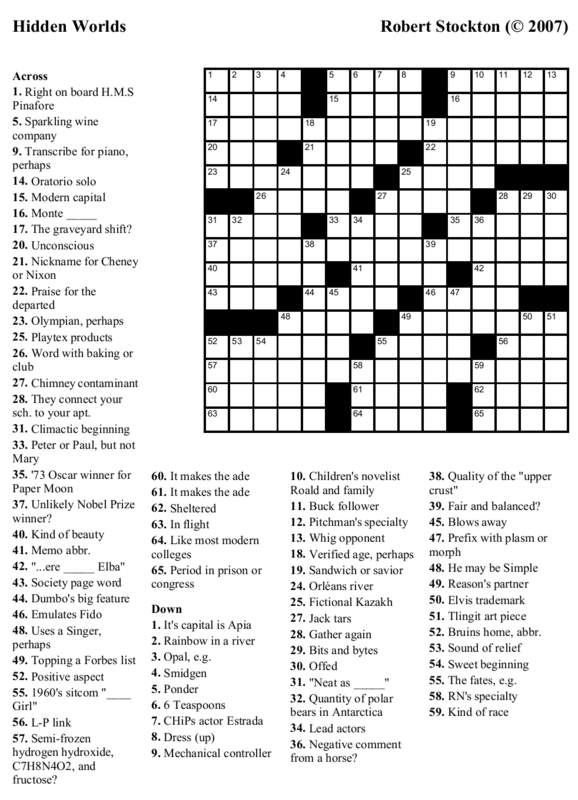 For this week we give another classic-style puzzle: not too hard, not too easy — call it a NYT Tuesday-level challenge. 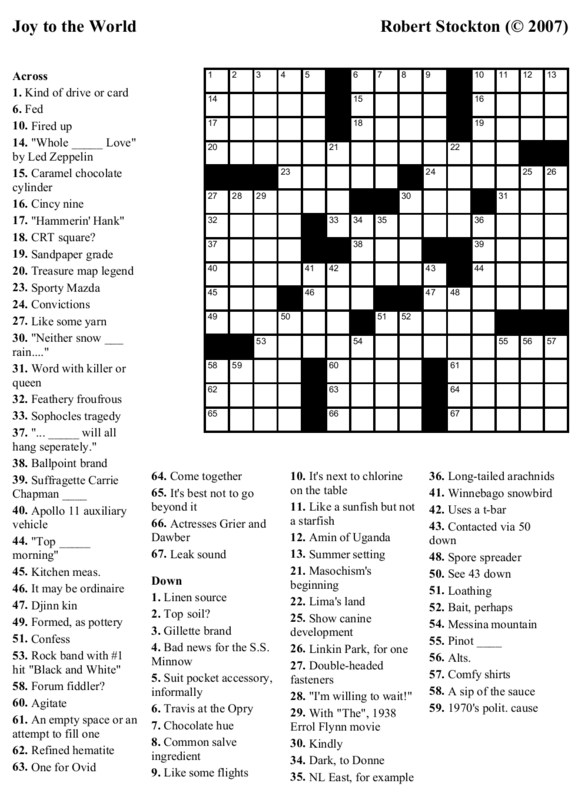 After two weeks of “special event” puzzles, this week’s free crossword returns a simple, traditional offering. 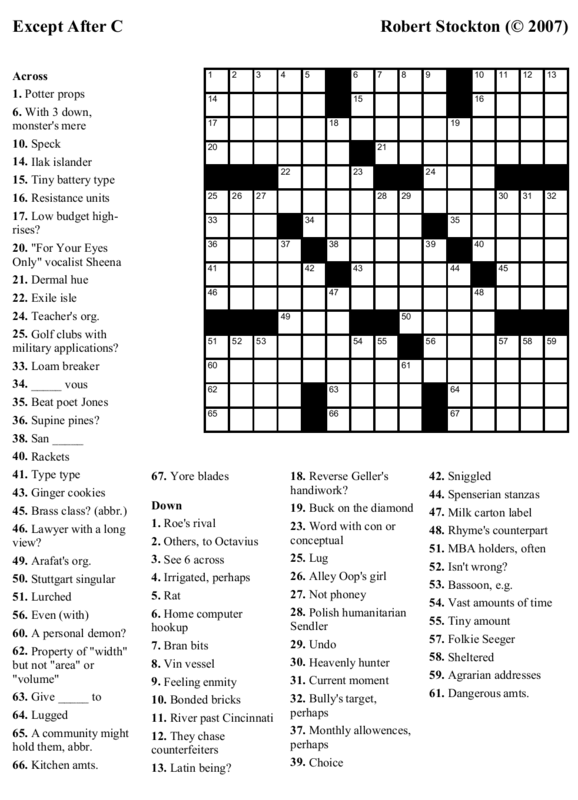 What you get is a Thursday-level themed puzzle with a healthy dose of wordplay to keep you amused. 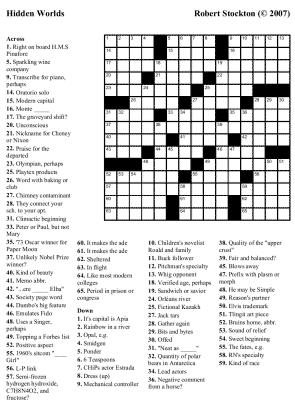 Extra credit goes to the first person to point me to an existing recipe for 57 across (making allowance for small substitutions). 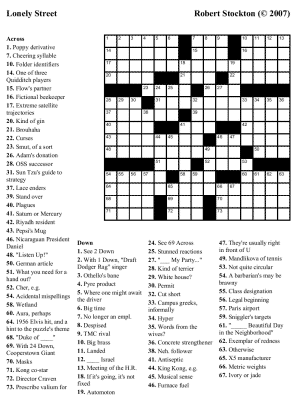 The puzzle can, as usual, be downloaded in Across Lite format or as a printable PNG image.